Many Brits are obsessed still by the ‘class’ thing. The success of TV’s Dowton Abbey attests to that. 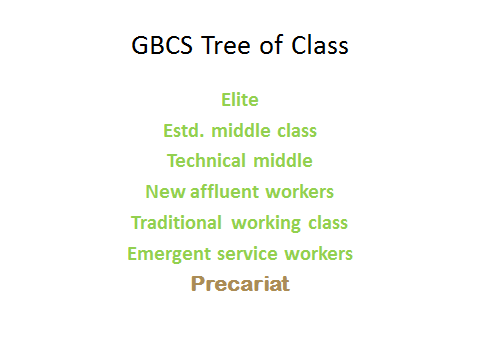 In the last century we had Yuppies ,Chavs, Sloane rangers, DINKY ( double income no kids yet) the English have always loved to classify and reclassify. 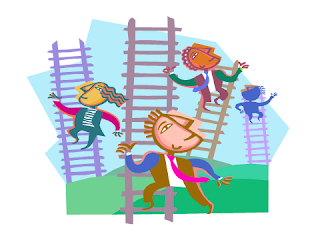 and social capital the study gives us 7 socio economic grades. No doubt Advertisers will find the survey of interest along with socio economists. Since people and relationships are a key currency to selling , Salespeople need to take note of this ‘new paradigm’ also. 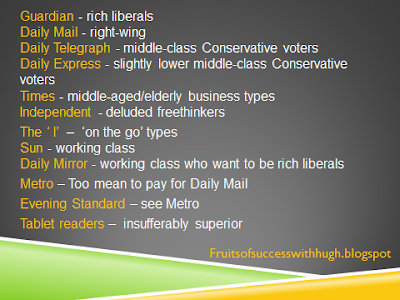 Professor of sociology at Manchester University, Fiona Devine, suggests the survey gives a sense of class in 21st Century Britain. BBC Lab UK worked with Prof Mike Savage of the London School of Economics and Prof Devine on the study. The study also measured cultural capital, defined as the extent and nature of cultural interests and activities. 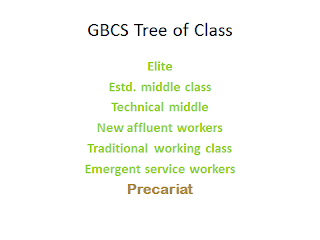 Precariat, or precarious proletariat - the poorest, most deprived class, scoring low for social and cultural capital. The GBCS was launched on line in January 2011, but data showed participants were predominantly drawn from the well-educated social groups. I guess this also indicates that such people are the most class conscious ! To overcome this they ran a second identical survey was run with a survey company GFK, with a sample of people representing the population of the UK as a whole, using the information in parallel.